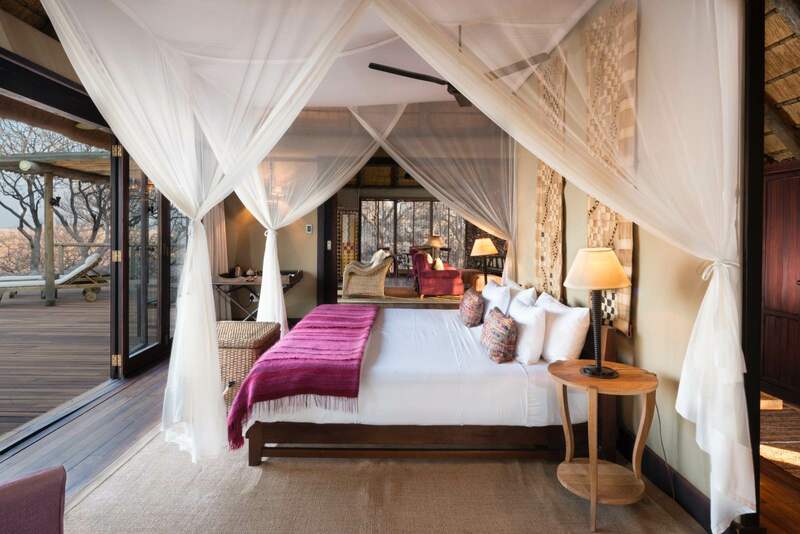 We’re covering our favourite safari destinations across Southern Africa as we talk to our experts about the best accommodations in some of the continent’s most premier wildlife areas. Kruger – check; Botswana – check. Namibia is up next! This is the heart of desert safaris, but the kind of desert safaris that include animals like elephant, lion, oryx, hyena, and ostrich. 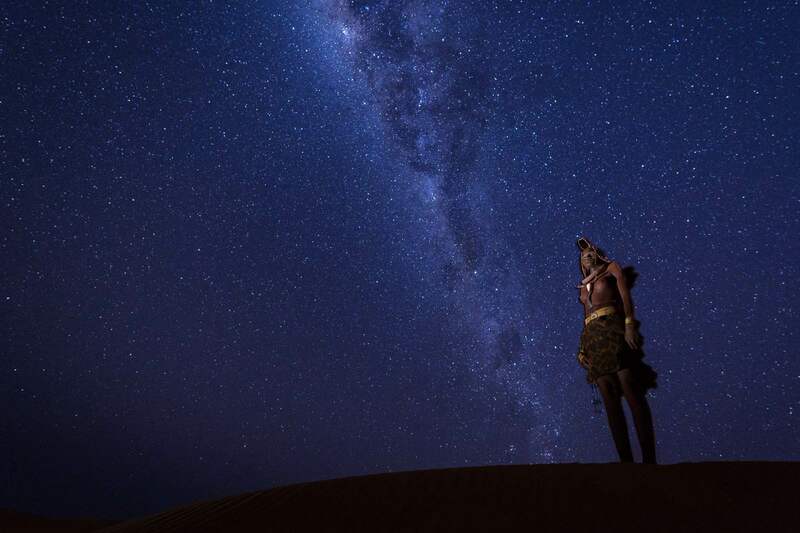 The Namib is thought to be the oldest desert in the world, and within its sandy ocean lives a diverse population of special, desert adapted species, ephemeral rivers course through the dunes, and stupendous stellar displays light up the night skies. This harsh continent is painted with the scenery only an artist could imagine, yet here it is – one of the safari world’s most unexpected, wild destinations. Where to start? We’ve got your back. 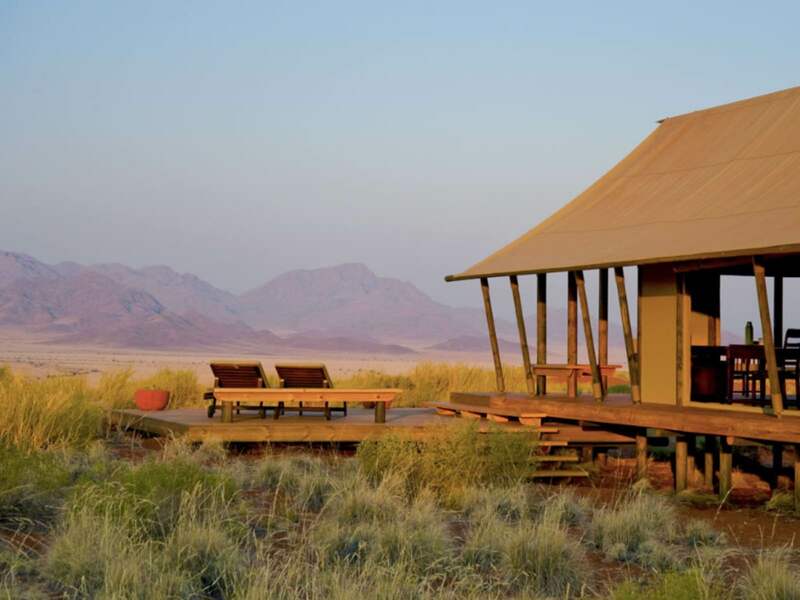 These are the top 10 lodges in Namibia, according to our destination expert, Liselle. First up on our list is Little Ongava. 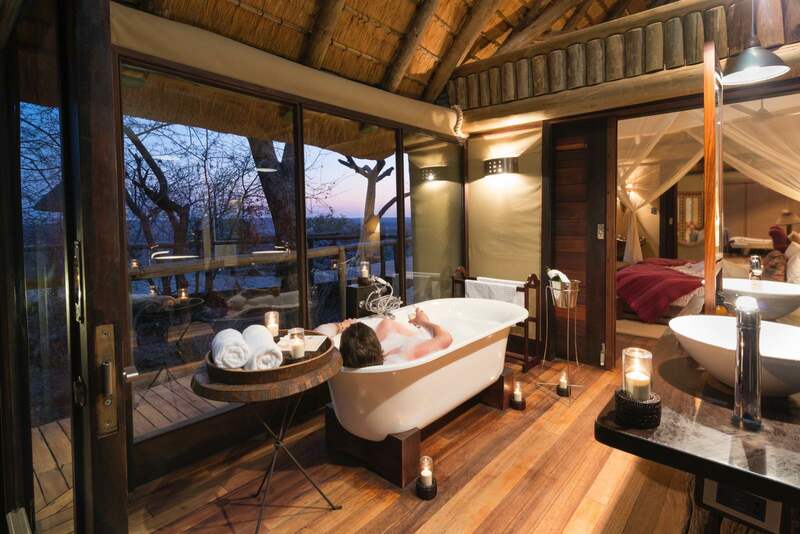 It is arguably the most exclusive luxury lodge in the country, located in the private Ongava Game Reserve bordering Etosha National Park. This intimate camp has only three spacious suites, each with its own plunge pool, en-suite bathroom, sala, and outdoor shower. 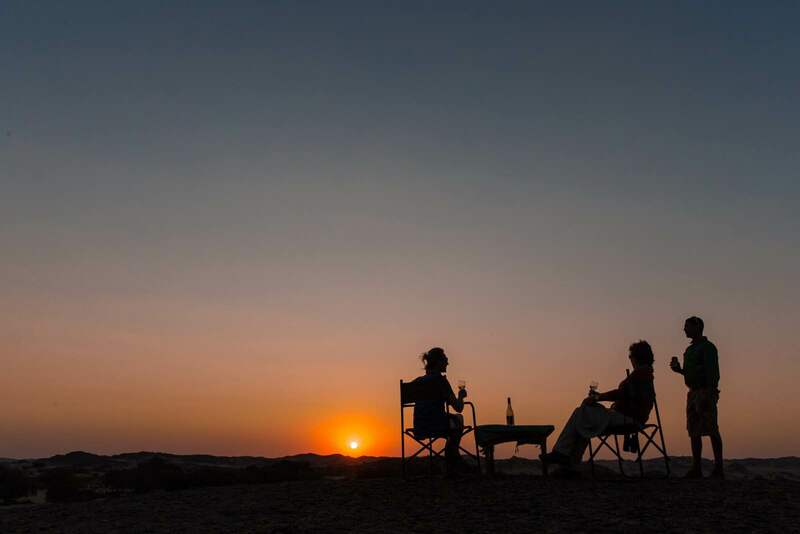 Perched on the crest of a hill commanding magnificent vistas of the plains stretching for miles to the horizon, Little Ongava offers an extraordinary experience as the focal point of an Etosha journey. Budget: From USD 920 (low season) – USD 1, 228 (high season) per person sharing per night. 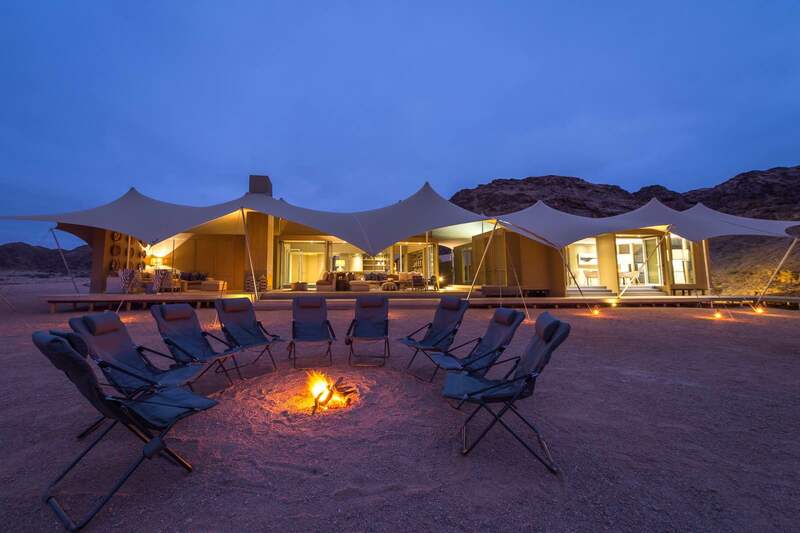 Our Namibian conquest takes serious shape when we enter the sensational NamibRand Nature Reserve where Wolwedans Boulders Safari Camp occupies a tiny space on the vast landscape. 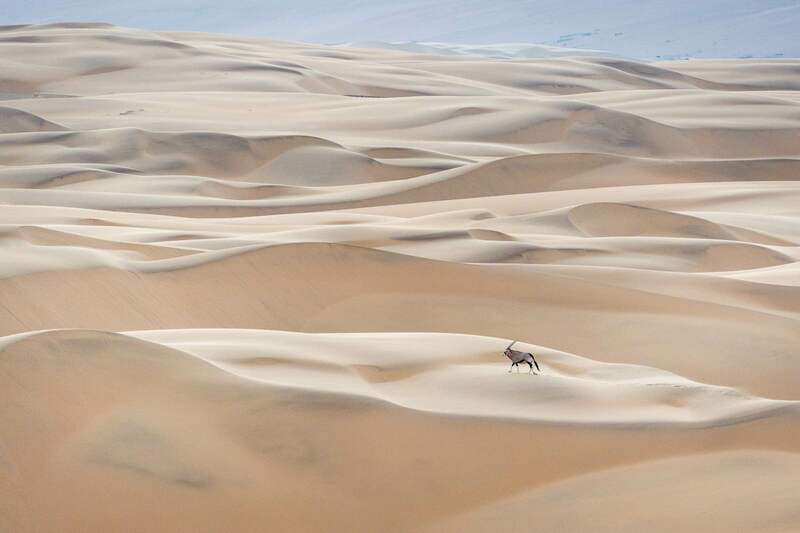 Namibia is desert country and that is where its rare beauty lies. 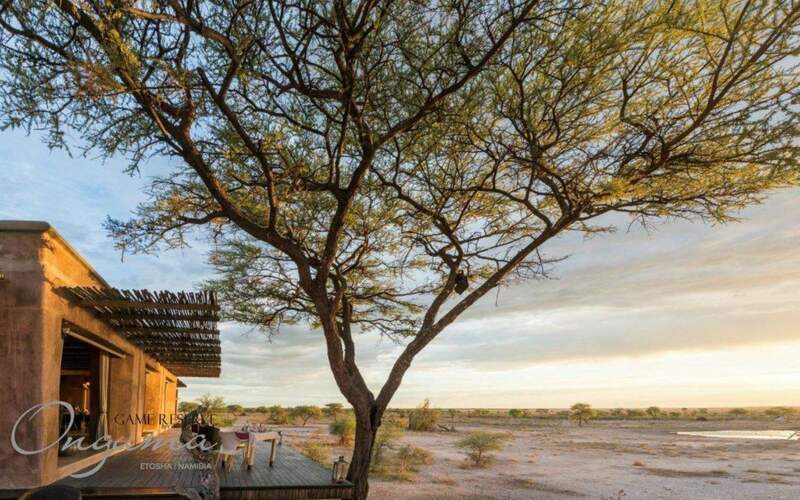 This camp featuring on Liselle’s list of top 10 Namibian safari accommodations is remote and secluded, made up of only five tents which take in the superior views from every angle. Backed up against gorgeous granite rocks, Boulders Camp is a fitting name for this unique camp. 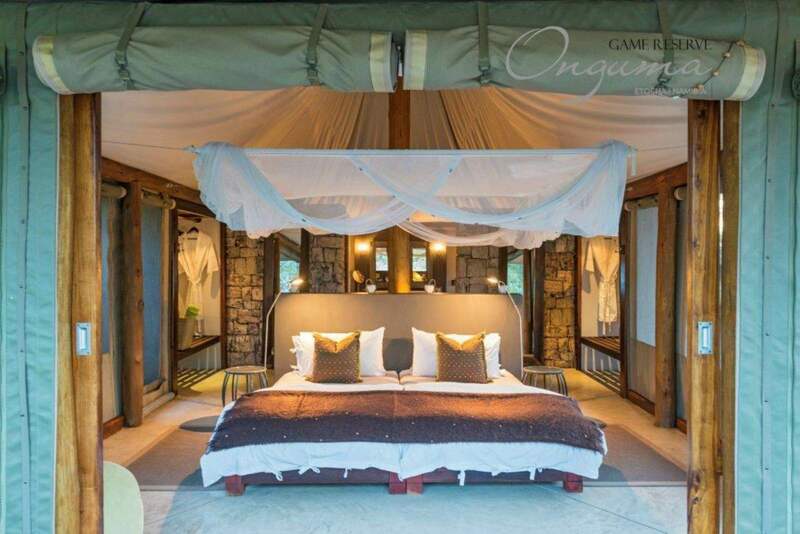 It is a classic camp finished with simple luxury, and it is the perfect location from which to walk across the open plains admiring the endless desert surroundings and watching oryx and springbok amble by. Keep an eye out for the endemic dune lark! 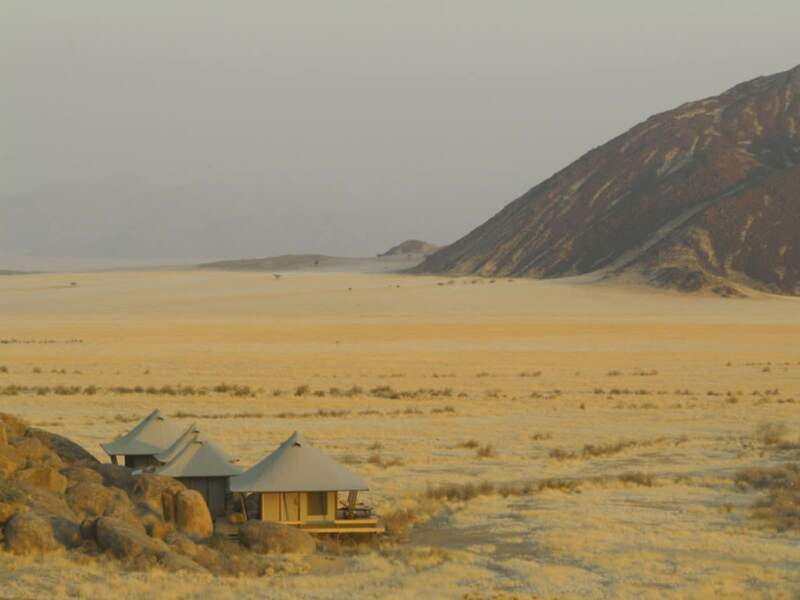 Nostalgic, peaceful, remote, and astoundingly beautiful is this Namibian desert retreat: Wolwedans Dune Camp. It is located out in the enormous NamibRand Nature Reserve where landscapes like these morph into one another creating an endless view of rugged wilderness. 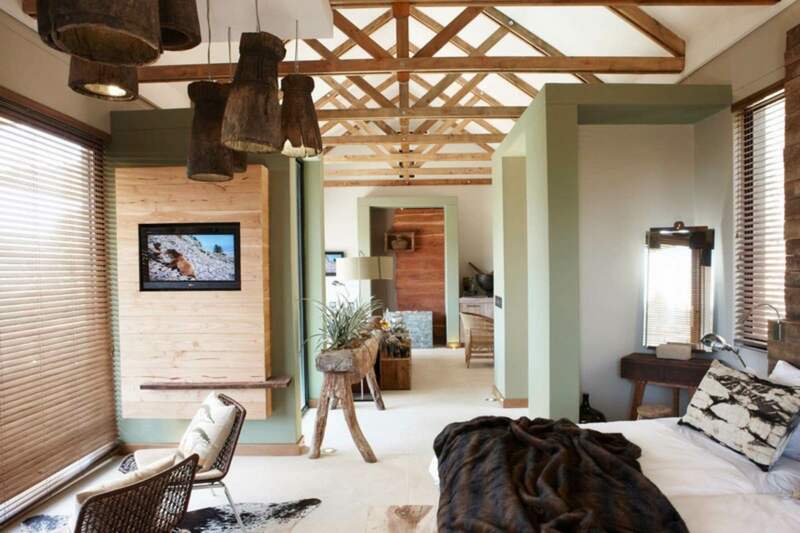 The simplicity of this desert safari camp is why Liselle rates it as one of her top 10 properties in the country. 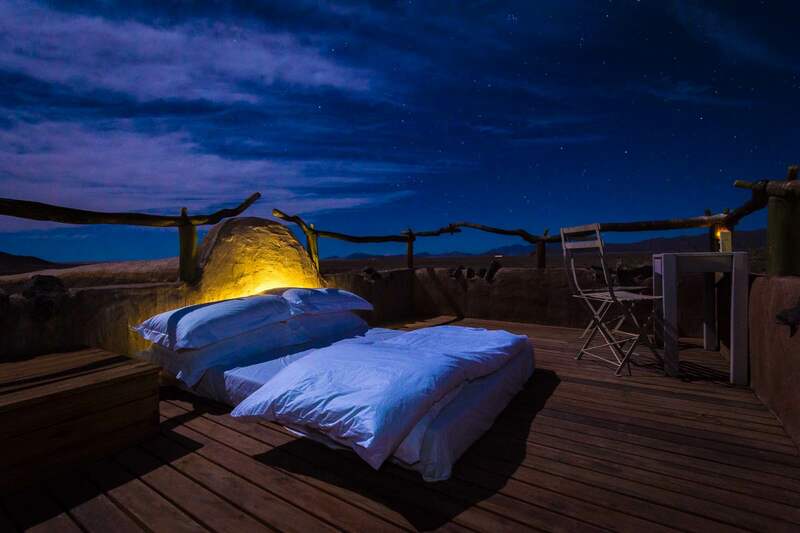 Dune Camp fulfils the ethos of the Wolwedans collection in its environmentally conscious setup with only six canvas tented suites raised on wooden platforms backed against a huge 250m-high dune and offering space enough to sleep out on your private deck under the stars. The silence of the desert is punctuated by calls of the night predators, like jackal, fox, and hyena. Watch oryx and springbok move slowly across the horizon and feel the warmth of the desert day drop into the fresh air of the night as you sit around a crackling fire. Namib desert bliss! 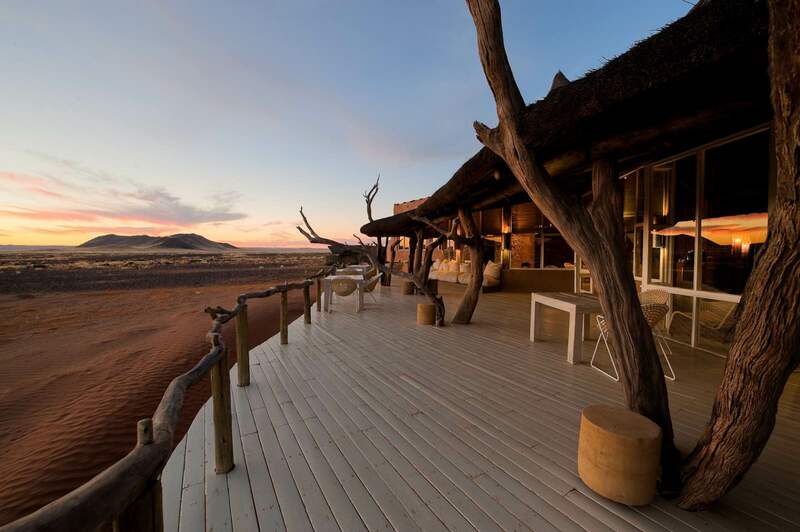 This next Namibian safari spot is the closest property to the famed Sossusvlei sand dunes, salt flats, and clay pans. Little Kulala – one of our safari expert’s top 10 in the country- comes as an oasis amid the spectacular red dunes that are some if the oldest and largest on earth. Exclusive access to the 27 000 hectare Kulala Wilderness Reserve is an immense privilege and allows guests to explore the area of the Namib that has been rehabilitated to its former glory. 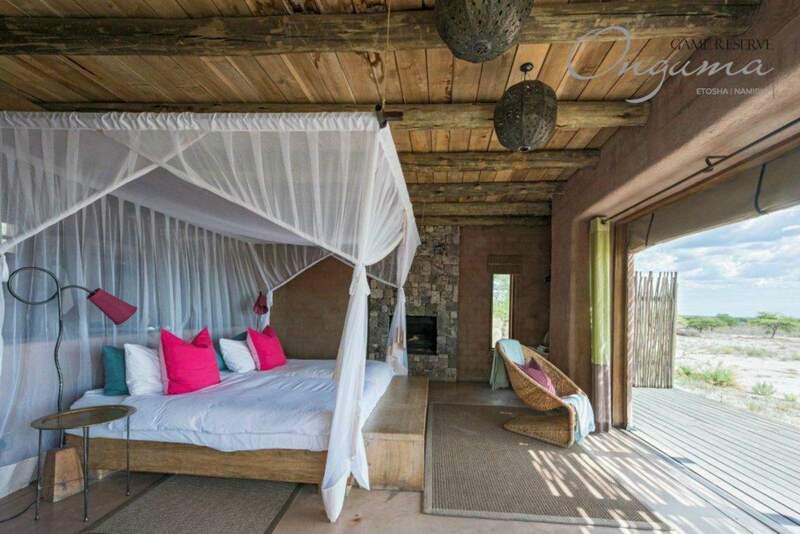 Luxurious Little Kulala celebrates the splendour and solitude of the Namib Desert and is flawless in terms of accommodation and style. An unbelievably dry and harsh terrain, rugged and virtually waterless, but home to specially adapted elephant, giraffe, lion, hyena, and other resilient wildlife one is accustomed to seeing on the verdent Savannah where food and water is plentiful. 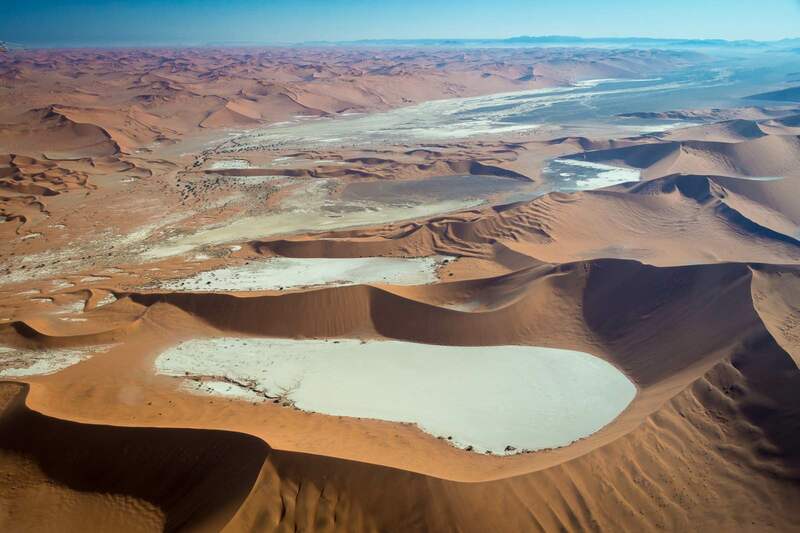 This is the Namibian landscape in its remote northwestern region known as the Kaokoveld. 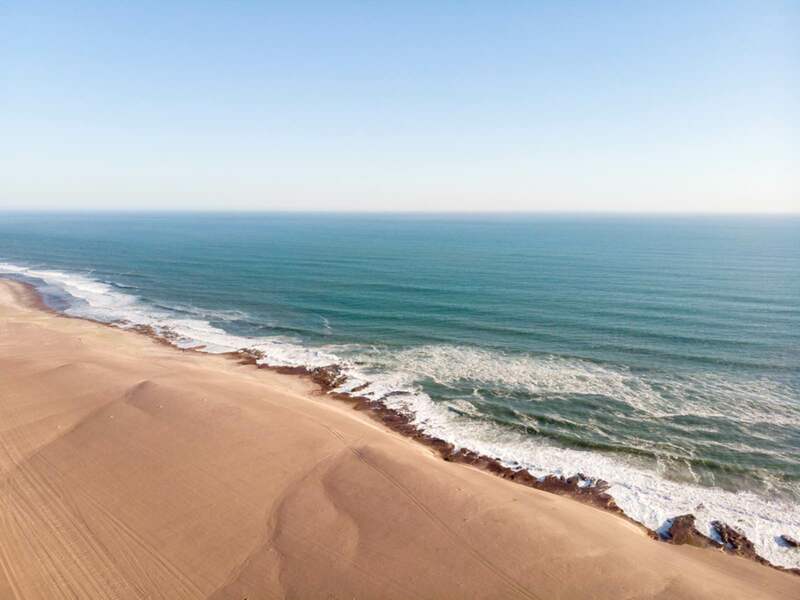 Inland from the Skeleton Coast, along the dry Hoanib River and its sparsely vegetated banks, we find ourselves at the oasis that hosts guests amid it all: Hoanib Skeleton Coast Camp. 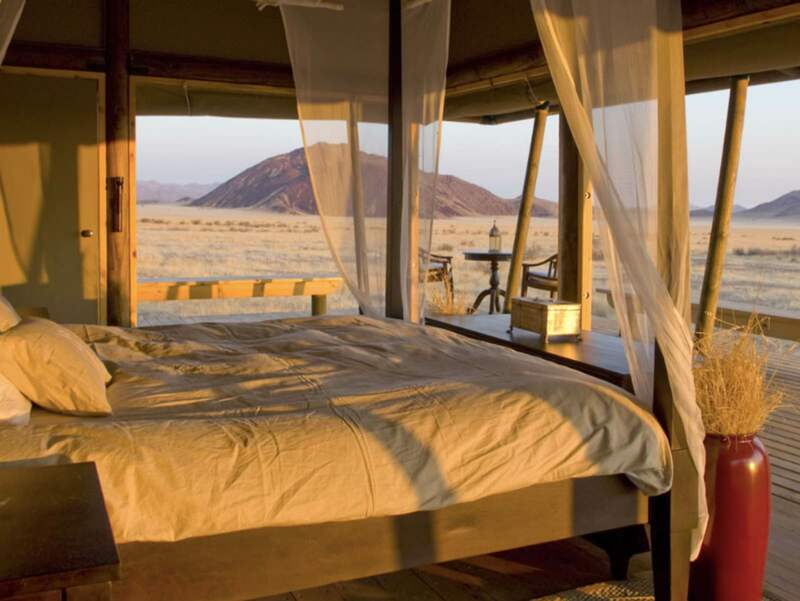 Another feature on our list of Top 10 accommodations in Namibia, this tented camp is camouflaged into its gravelly mountainous surroundings, which morph into soft sand dunes, eventually meeting the icy waves of the Atlantic Ocean. 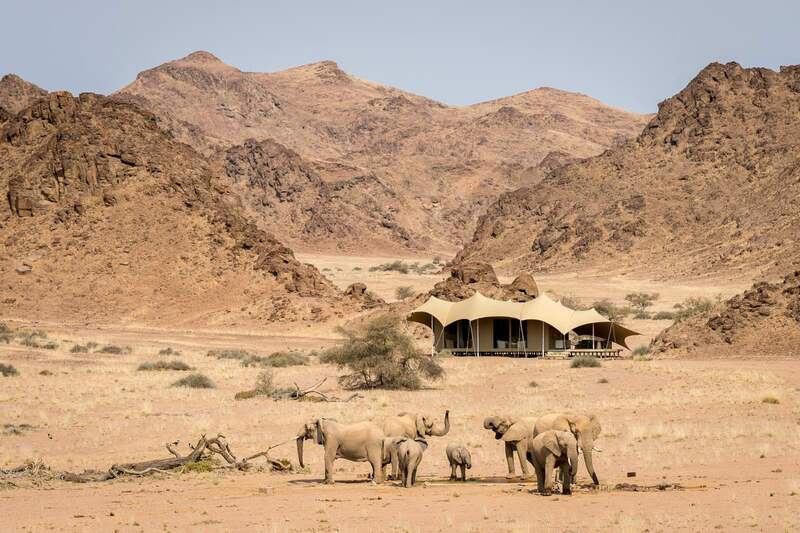 This is one of the most fascinating areas of Namibia and Hoanib Skeleton Coast Camp offers a luxury yet understated base from which to explore. Look out for the famous desert lions which live only in this area in the world! 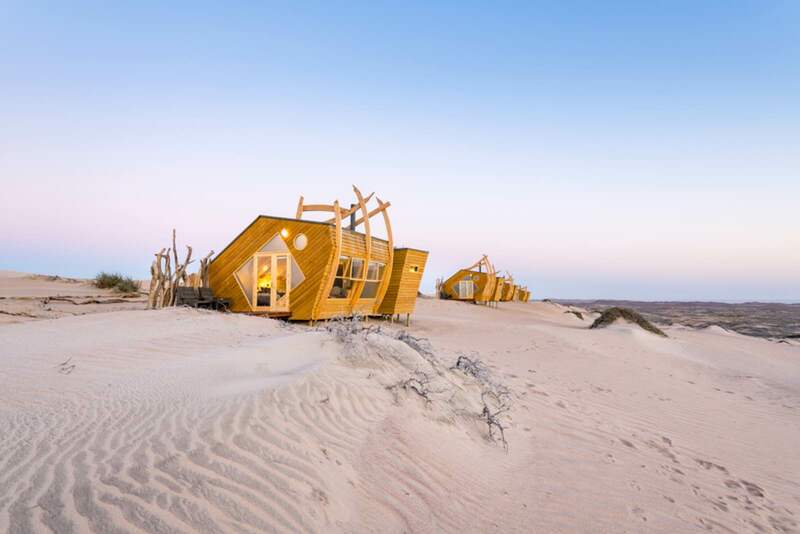 This incredible concept has been brought to life on the rugged and eerily beautiful coast of the Namib Desert: luxury cabins architecturally crafted in the shape and form of the shipwrecks that litter this treacherous stretch of the Atlantic. 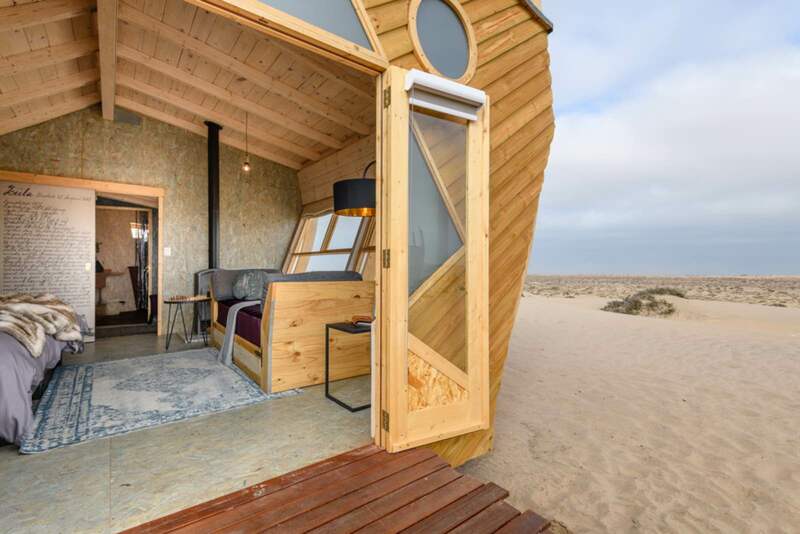 The harsh Namibian landscape is now the location of this breath-taking lodge, built here to give guests an expert tour of the Skeleton Coast, relay its stories, and share its magic. Shipwreck Lodge, as it is so aptly named, is unlike anything else, and assures guests an all-rounded experience of superb comfort, excellent food, and unforgettable experiences in this one of a kind wilderness. Etosha Pan: Namibia’s wildlife wonderland and one of Southern Africa’s most astonishing natural areas. Not only is Etosha scenically magnificent and entirely breath-taking, it is home to the mystical “white” elephants, critically endangered black rhino, zebra, ostrich, giraffe, springbok, lion, brown hyena, and so many other phenomenal species. The best part is you have the chance to see them ALL around one waterhole. Etosha National Park’s famous waterhole gatherings are celebrated through famed photography and David Attenborough documentaries. What else? Etosha Pan. This enormous expanse of crystallised salt stretches to the horizon and beyond, appearing somewhat like the surface of the moon. Overlooking this otherworldly scene is Onguma The Fort, one of our safari expert’s top safari accommodations in the country. The unique, raw enormity of this fort-shaped building is stark and surprisingly beautiful, and the level of luxury is unquestionable. This place is all about the view and the feeling secluded in this vast wilderness. 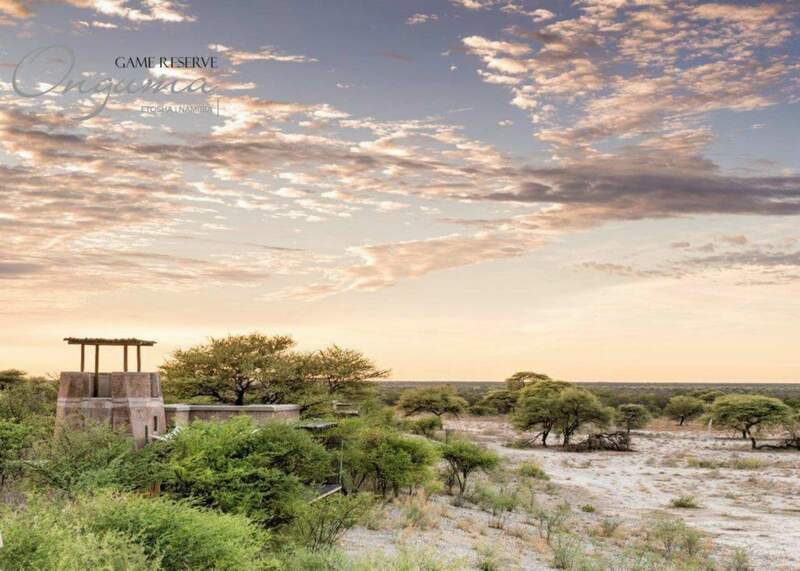 Another one of our favourites from the exclusive Onguma Game Reserve in Namibia is the Tented Camp, which combines classic canvas with modern sophistication, using impressions from the Etosha surroundings which are full of acacia thorn trees, pans, and stark grey and ivory colour tones. Textures such as stone, suede, linen and steel create a setting that is sleek and modern but also inherently of the earth. 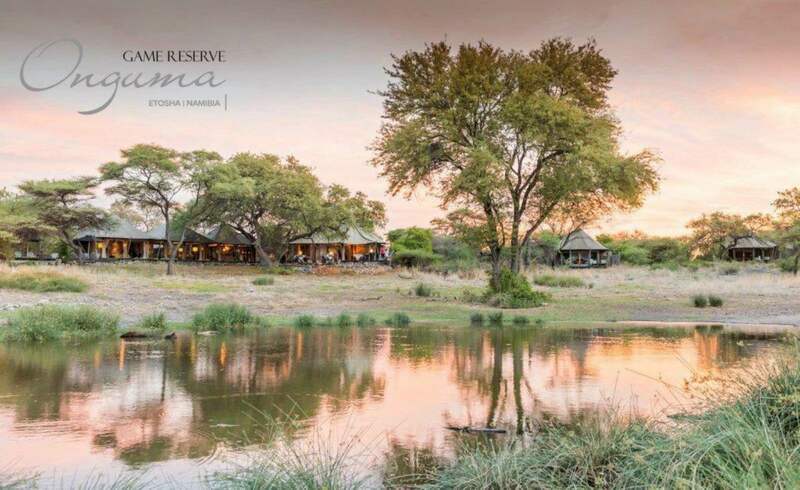 The camp overlooks a busy waterhole which is about 60m away, and the rimflow pool makes the perfect spot at which to relax and watch the wandering wildlife come and go. What a sight! The sand sea of Namibia rolling in waves for as far as the eye can see: this is the view at Serra Cafema in the far northwestern reaches of the country. 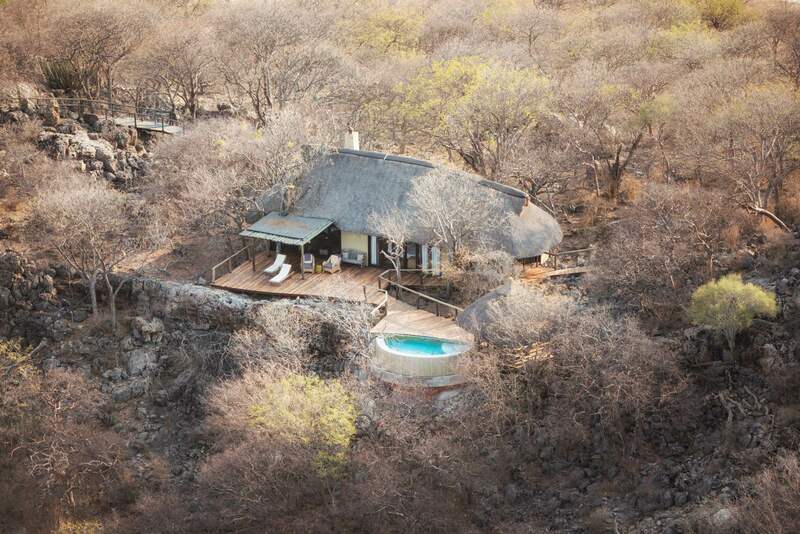 The isolated 8-bedroom lodge is set under trees on the banks of the Kunene River where the desert bursts into u expected life. Serra Cafema is one of the most remote camps in southern Africa and it has just undergone a rebuild to enhance its environmentally conscious status and make it even more of an incredible venture that nurtures the relationship with the surrounding landscape, the semi-nomadic Himba tribe who are the custodians of the private conservancy. 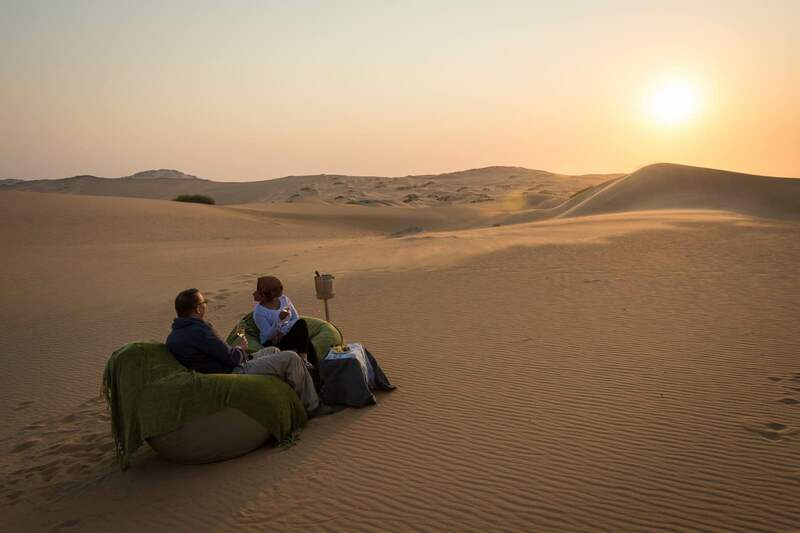 This is spectacular desert Namibia, and the activities on offer make use of the inimitable surroundings, leaving guests with memories that will never be matched. 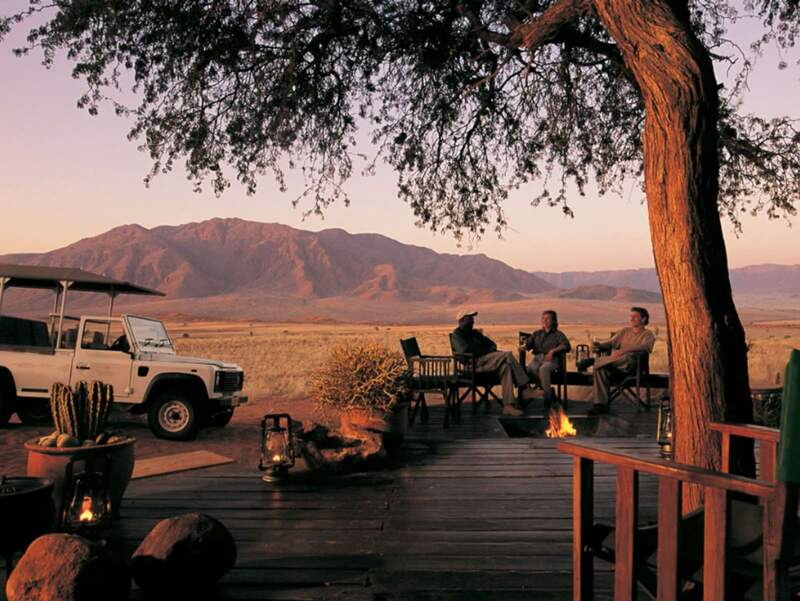 This is most certainly one of our top 10 Namibian safari destinations, as selected by our expert, Liselle. 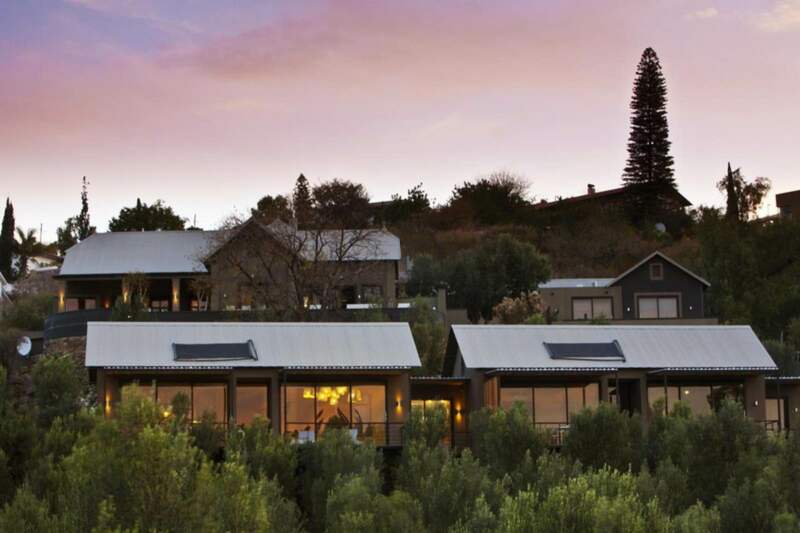 This one might not be a safari lodge in the blissfully uninhabited expanse of Namibia’s natural areas, but it is a simply sublime accommodation in Windhoek that takes an overnight stay in the city at the beginning or end of a safari from “somewhere to sleep” to somewhere you’ll find total comfort and relaxation. 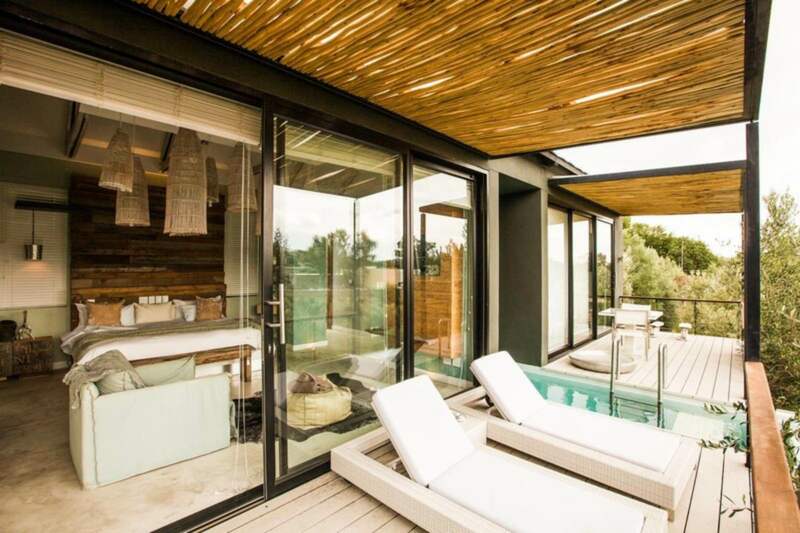 The Olive Exclusive is a boutique hotel in Windhoek, which is the start and end point of a Namibian safari, and it is luxurious, and inspiringly stylish, designed around some of the country’s most iconic wild areas. Each of the seven suites – 4 premier and 3 junior – are contemporary, spacious, and kitted out with every modern convenience. Browse all of the iconic Namibian destinations and full variety of safari properties listed on our website here.